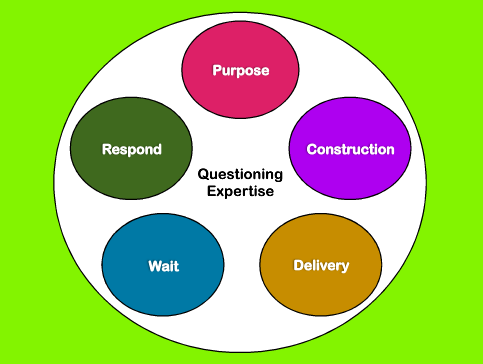 In my coaching work with practitioners, I work with them to un-pick the skills involved in expert questioning. At the heart of our coaching conversation, the practitioner breaks down the whole of the issue at hand, in this instance, QUESTIONING, into its constituent parts. This enables them to build on the specific strengths of their questioning strategies. This may identify times for them when they may have used a framework such as Bloom’s to construct their questions, but found that they haven’t waited long enough to allow ALL learners to come up with a range of quality answers. Alternatively, they may know exactly who they need and want to ask as part of an inclusive questioning strategy to ensure that everybody is included in their questioning, but when they get a response, they get over-excited, particularly when they hear the one they were waiting for and use this as a prompt that everybody is ready to move on. This then misses the chance to use the answer(s) received as an opportunity to adapt teaching to meet learning needs. So often, the difference between good and outstanding teaching comes down to just such missed opportunities. So here’s what I’ve been working on in coaching sessions with practitioners who want to develop their expertise in questioning. I hope you find this deconstruction helpful! Why are you posing the question? To prompt deeper thinking or because you and your students need to ‘cover the ground’? To illicit a range of responses or a achieve specific response? To assess security of understanding or reinforce existing knowledge? To find out what you need to do next in your teaching or to reassure yourself that you can stick to a fixed plan? How can you use a thinking framework, a taxonomy or a graphic organiser to design your questions? For example, inference squares, 8-way thinking, 5 Ws, Bloom’s, De Bono’s hats, SOLO, P4C and so on are all great tools and processes to construct quality questions, develop deep thinking and foster curiosity. Who’s question is it? Do all the questions come from you? How do you design opportunities for students to ask their own authentic questions? Who will you ask what questions and at what stage of the lesson do they need to be asked for greatest effect? When will you use your deliberately planned ‘Big Bang Questions’ (BBQs) and what questions can you rely on as your standard ‘go-to’ questions to ‘scatter’ throughout the lesson? How can you deliberately design lessons in response to students’ questions? How will you pose your questions? What ways can you deliver your questions in a creative and engaging way? In what ways might you be able to use technology to deliver your questions for you, using apps to animate your questions and surprise pupils as the lesson progresses. Just one example, ‘Talking Animals’ is great for this but there are loads of different ways to animate your questions. How could you design learning so that questions are presented as clues hidden and slowly revealed during the lesson or placed around the room or site, or give them to pupils for them to make their own meanings collaboratively? Will you be the sole questioner or will you delegate some questions to be asked by students, groups or as individuals? How we you ‘grow the thinking gap’ . That is the time between the question being asked and the answer being expected? There’s a load of research about the power of such wait time, but here’s one nice summary from the Independent Thinking Blog. How will you respond to inaccuracies in understanding? What kind of inaccuracies are you likely to encounter? How will you use these as critical teaching moments ‘CTMs’? How will you handle the completely unexpected response? What will you do if your question illicit nothing but the ‘tumble weed’ effect and how will you adapt your teaching to address a whole-scale misunderstanding or lack of confidence with the learning? Trying to develop expertise in questioning involves reflecting and developing all of these elements in order to master one coherent approach to achieve the greater goal of, “Fostering curiosity”. In a coaching conversation, focusing on developing questioning expertise provides a rich vein of exploration and many opportunities for very specific formative lesson observation. The complexity of learning is constantly matched by the complexity of teaching. I am always mindful of the dangers of un-picking expertise in this very specific way. If we’re not careful, teaching could be reduced to a mechanical activity. We may then start to think of it as a straightforward checklist of processes, rather than the more organic craft that we all know it to be. So having deconstructed these elements, the trick is to coach the practitioner to be able to stick everything back together, ready to be applied with confidence back in their busy classroom. For me, then, questioning continues to be hold my fascination. I use a variety of formats to support formative lesson observation as part of my coaching practice. Each one takes a specific element of questioning and limits the focus of the observation to describe (not interpret or judge) what takes place in a specific time period within or over a series of lessons. I am always testing new versions so that I make sure I can capture exactly what it is the practitioner has asked me to look for. Once we become expert questioners, we are likely to be far more confident to continuously model what great questions sound like and, more importantly, the effect that posing a great question has. This is equally true for coaches and practitioners. In this way, students are far more likely to develop confidence as expert questioners in their own right. It is at this moment, when students take responsibility for the lion’s share of the questioning during a lesson that curiosity will reign supreme! This thoughtful talk by John Wooden gives some valuable insights into ways in which we can get the best out of our learners. John Wooden is referenced in a number of books I’ve read recently, including Carol Dweck’s “Mindset: The new psychology of success” and Daniel Coyle’s “The Talent Code”. There are some great links between his words and the work that Dweck, in particular has developed. I met with a teacher recently who is working to develop a whole-school culture of growth mindsets, with teachers, students and parents & carers alike. I am excited to see what the change will be as a result of this very deliberate work. It would be great to hear from other schools who are embarking on similar journeys, so please leave your comments below for everybody to share. This talk is pretty much an all-encapsulating journey into the mind of a powerfully inspirational coach. 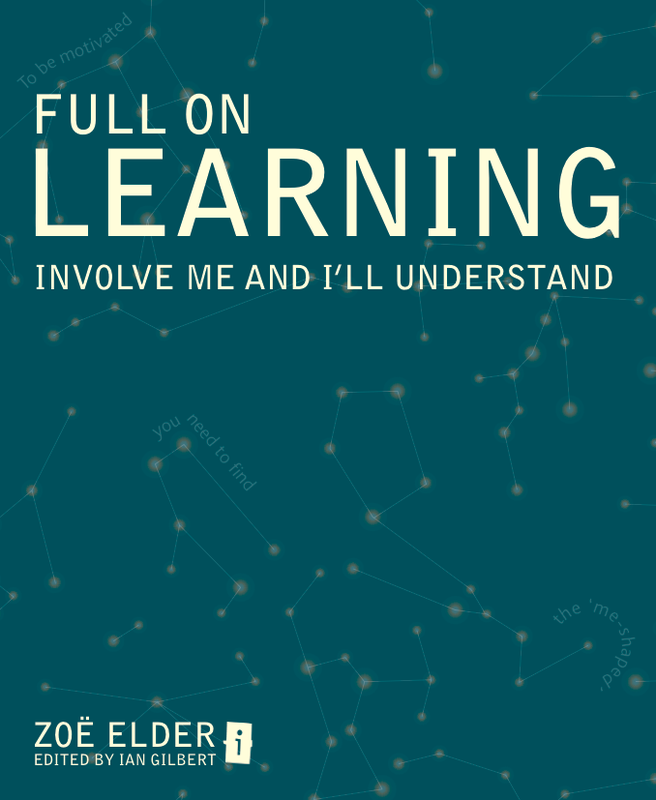 Sit back and simply immerse yourself in the experiences and love of learning that he shares here.